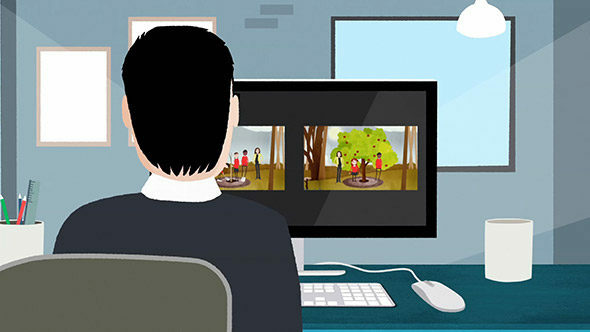 Home » Blog » What is the best animated explainer video style for your business? You want to develop an animated explainer video but you’re not sure which style of explainer video you should pick? 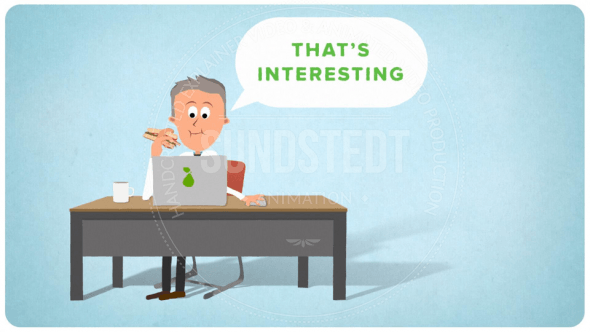 We are frequently asked the question: What is the best animated explainer video style for your business? 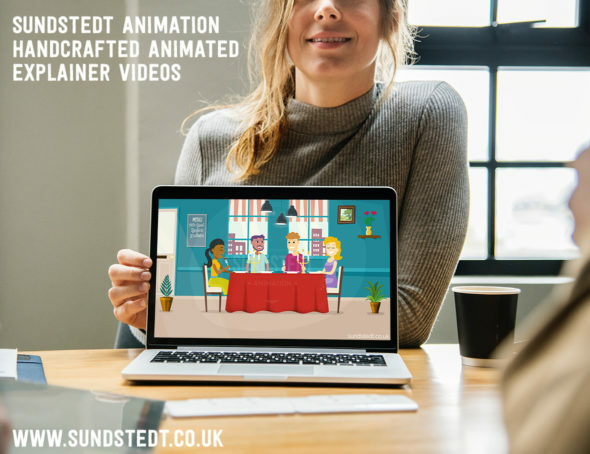 Clients know they want a video for their business, they enjoy our work at Sundstedt Animation and perhaps they have seen a few videos they loved with a style that they have in mind for their video. This can be either a video from our portfolio from a previous animated video project, or sometimes also from another web video they watched online. 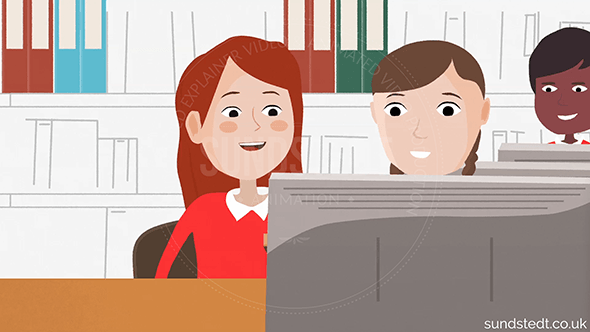 There are a lot of different styles of animated explainer videos, perhaps you are also wondering what is the best animated explainer video style for your business? In this article, we provide you with some information and tips on this subject. We show some of our own animations to help explain some of the differences between our different styles and techniques. 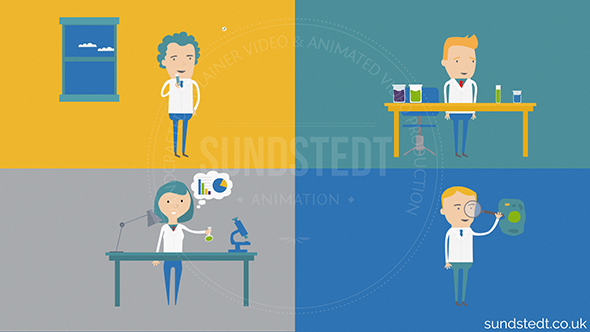 At Sundstedt Animation or main focus is on animated cartoon style videos and whiteboard videos, so we will concentrate on those styles in this article for you. 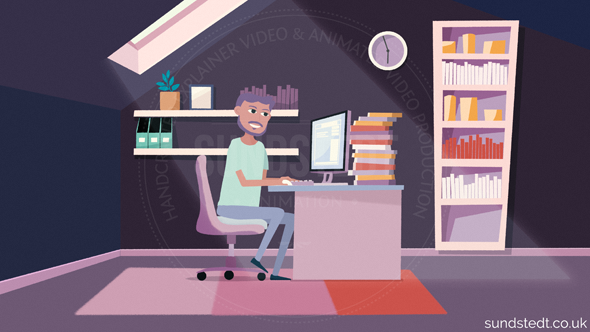 Please note that the information here applies only to our own animated video work, we don’t use any standard characters, stock artwork or templates, so you will get very different results from other animation studios. We make sure they are unique by creating new characters for each cartoon style animated video. Our techniques and styles differ from the competition, our videos are handcrafted and we design and animate them in-house, sometimes with a creative brief from another agency, but most directly with our own clients. 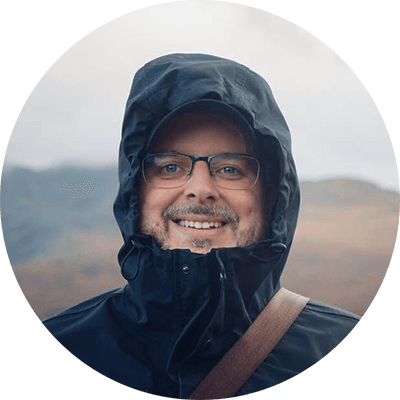 Anders Sundstedt designs, illustrates, directs and animates all our video from scratch, so every design, style, illustration and animation you see is his own work and is custom made for each animated explainer video project. 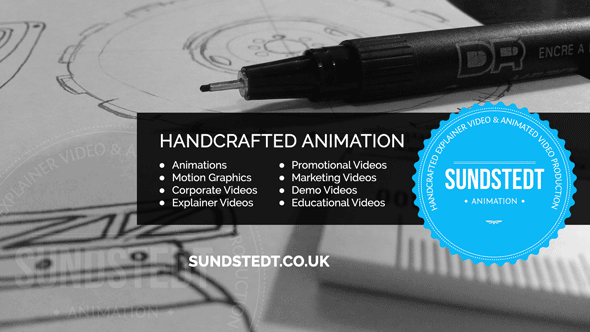 Anders Sundstedt has his own personal design styles and he can do many different cartoon styles, corporate styles, and motion design styles for your explainer video. This is why videos from Sundstedt Animation are always unique and custom made for you. Every video is different, sometimes sketchy, sometimes very smooth lines and curves, depending on what the client wants. But always with great care, and a lot of time spent on each client project. You can see this for yourself by viewing some of our explainer videos in our portfolio. We can only take on a certain number of projects per year because we’re a small studio, so we sometimes have to turn projects down if our schedule is full and we can’t take on any more bookings. First of all, it’s important to keep the customers interested from the start of the video, within the first 5-10 seconds, so the video needs to make them want to watch the whole video from the first few seconds. Videos are known to keep the audience on websites longer and convert better than text only. These videos we make are great for drawing people’s attention and to explain complex subjects in 60 seconds. They are usually story based and consists of cartoon style characters, that can be very different in style. These videos are great at engaging the viewer to help turn them into a customer or client. They are often funny and entertaining, making them more fun to watch. With our custom animated characters and handcrafted backgrounds, artwork and scenery, this helps build your brand and getting this just right is important. 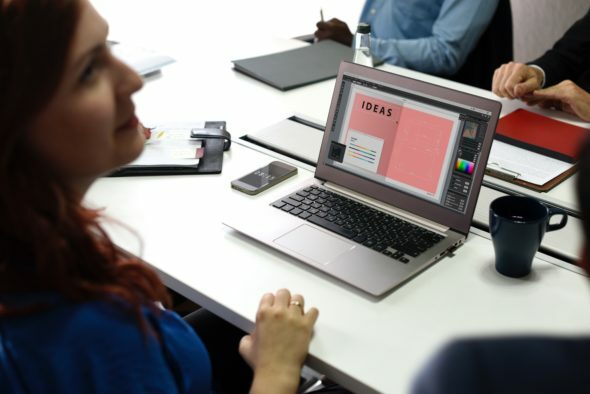 These videos, especially animated explainer video and animated marketing videos, are compelling and can be 100% custom made, helping build you brand with a great story and a quick, short video to tell your brand’s story in a fun and entertaining way. So it’s important at the start of the video project to be able to provide us with the basic information we need, in a creative brief. 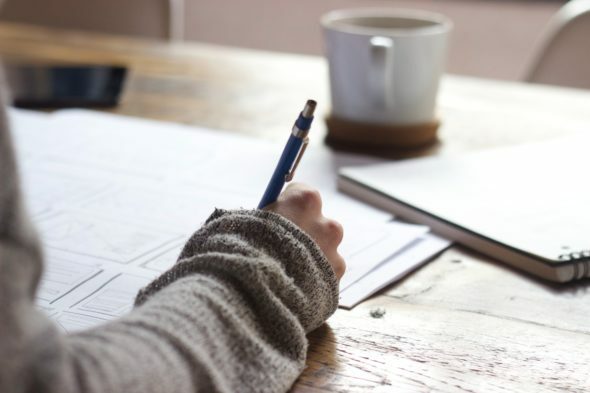 To write a creative brief (that we usually get from the client) it’s important that you know the following basic information about the video you want: What must it be? Who is it for? What’s the age group & gender? How long does it need to be? What’s your objective with the video? When does it need to be finished (timescale)? This is also why we recommend that you don’t go for a cheap looking video with stock characters that have been used in lots of other company videos. The video can help build your website and brand, so it’s really important that it’s unique and easy to recognize. Because it’s not good if potential customers and website visitors see competitor videos that use the same design, artwork or stock characters as your video. That is not very impressive or good for helping your brand, making it less likely to potentially turn the viewer into a customer, or make them stay longer on your website. It’s boring to watch a video that uses standard templates and/or stock artwork and characters. This can turn people off, making it less interesting to watch a video. You probably have experience of seeing cheap explainers and other web videos using drag-and-drop stock characters and templates? There is nothing that could make us make videos that way, because we take great pride in every single explainer video we make, and as artists, we love what we do and want to create new content! Our videos are the result of loving what we do! The visual style and look of each video we create is decided based on different factors including budget, timescale, and requirements. The more complex and time-consuming work, the higher the budget required. Also, keep in mind that the larger the budget, the more time we can spend on making your video more awesome! 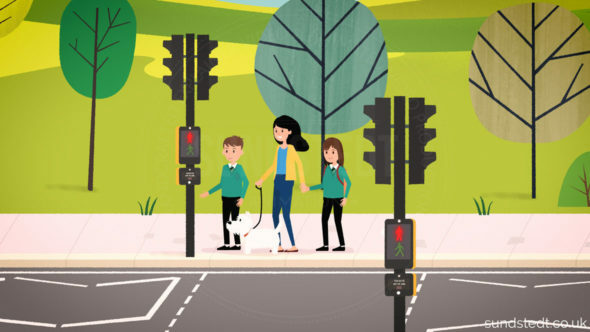 Here follow’s examples of some of our animated cartoon style videos. As mentioned, we have our own design styles, but there are two fundamentally different techniques we use, 2D or “2.5D”. As you can see, we use our own characters that we designed especially for this video. This video is 2-dimensional, there is no depth in the animation, even though there are a lot of layers in the illustrations, it’s all flat. This is one of our most common techniques for explainer videos. It’s usually just called 2D animated cartoon style explainer videos or simply cartoon style explainer video. In the clients Milo video above, we created our own custom detailed background illustrations, a lot of details and custom made, detailed characters that are animated, not static. You can also see that the motion is not simple, the characters are climbing and walking across the screen. 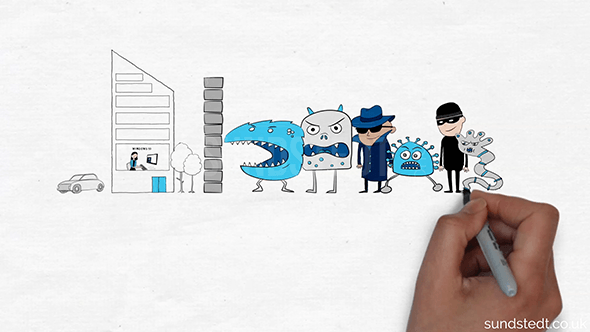 So it’s another example of a more complex animated explainer video. 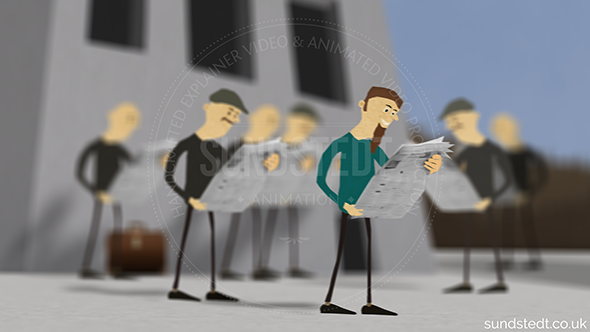 Next, we have another 2D animated cartoon video style, this a variant which we often call “2.5D”. Again, in our work all the assets and all artwork, characters and animations are handcrafted and custom made. You will notice differences such as that there are now shadows on the ground, there is a “3D” feel to it, objects are in different layers at different distances, there is 3D-depth. But all the layers are still drawn in 2D. We call this 2D animation in a 3D-space. The characters and objects are not 3D-models like in a 3D movie, but the scene is in a 3D space. (If you find all this talk about 2.5D and 3D confusing, just notice that it’s not all on a flat plane, you get shadows and we can move in and out of the scene. Apart from that, the design style is very similar to normal 2D. This early video we did for Givvit, we would consider being of a medium complexity in our video portfolio, the characters are custom made, but they are not moving very much. It’s still ‘advanced’ but less complex than some of our other, newer videos. Our 2.5D videos can take more time to make. It is for example, more computer-heavy, so it can often be slower to work with the video and animation. There are more things to keep track of than if it’s all on a flat 2D plane. But by avoiding complex scenery, the difference in complexity is not always that much higher than normal 2D. So should we use 2D or 2.5D cartoon style animation? First of all, 2.5D is not very common in online web videos, so it’s really something subjective. “2.5D” can be a bit more labor intensive to create, but it’s not something that would impact very much on our pricing. It’s more really about what you like the most and what you think suits your web video and brand the best. We really like our own 2.5D style animations, in our own personal styles, so we are happy to do your video in this style, or a combination of both. But it’s a bit more unusual and unique. As mentioned, the two techniques of 2D and 2.5D are really pretty similar, with the main differences being for example depth, 3D movements, image layering, DOF and shadowing. If your video is for end users, small- or startup businesses, then a cartoon style animated video can be a great choice for your video. Let us know what you budget is, when you need it by, and who it’s for, and we can help you choose if a cartoon explainer video is best for you and provide you with a free quote. Whiteboard video is a different style, it is an exciting way to advertise and market your service or products. Whiteboard videos are really great because it’s very easy to follow and explains things in a very simple way. It’s ideal for areas such as software, IT, technology, medical and science. Whiteboard videos and videoscribe videos are often fun and with a great script, they can be super-entertaining for the viewer to watch. They are flexible and can often be easier to update compared to a cartoon animated explainer video. So what is a whiteboard video and how does it work? This can be really convincing and the quality can often be better and more detailed when it’s animated on the computer instead of filmed with a video camera of someone drawing on a real whiteboard screen. We prefer to make more detailed, higher quality artwork which would not be possible with the thick pens used on a whiteboard screen. Our styles of whiteboard videos are different because we have our own personal style and not very sketchy or rough. We frequently use multiple colors. Sometimes we also use animated elements, instead of only static drawings (a limitation if using physical whiteboard screen). We spend a lot of time in creating all the illustrations for our whiteboard videos. Whiteboard videos are generally less complex than cartoon videos, especially because there are less complex animations. On the other hand, the work on creating all the artwork can still be demanding, especially because everything we do is handcrafted. The drawing of the images in a whiteboard needs to be in sync with the voiceover, so timing is of importance, not only the script and design. So should we go for whiteboard video or cartoon style animated video? They are great for shorter videos, i.e. 60 seconds or less and to explain things really quickly. In comparison, speed is generally not great for whiteboard videos. The hand must draw everything “manually”, so because it draws everything with a pen, either in real-time or sped up so hand is drawing faster, it’s still all drawn manually and thus it takes longer and you need to allow for the time it takes for the hand to draw the illustrations on the screen. for example, you may need 5, 10 or 15 seconds to draw one image, depending on how much lines it has and how complex it is. I.e. a circle is quick to draw, but a castle takes a lot longer! So cartoon style videos are often better for short videos. Another thing that is better with cartoon style animations is that they can be much more advanced in styling and design, the can be very colorful and just like a cartoon animated film. They are not static because they are not meant to look like they are drawn by a pen on a whiteboard screen. They can have stretch, bend, movement, advanced motions and be more visually pleasing. In a whiteboard video, you would generally not have any motion elements like you have in animated cartoon explainers. Cartoons can be more fun and allow for advanced motion graphics, transformations, character animations, animated texts, animated images and everything else that is great about animated cartoons. There is a reason why cartoon videos are so popular in the cinema and TV, while you rarely see a whiteboard video on the TV, apart from in some commercials or information videos. This can be very powerful, and it’s a reason why most whiteboard videos include both drawings and words. Sometimes the words are written by the pen, but they can also be animated appearing on their like of drawn by an “invisible hand”. 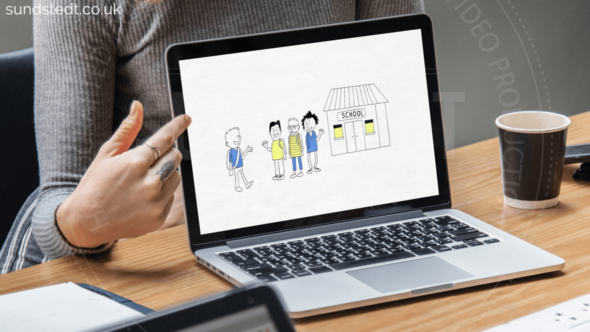 Both our 2D cartoon style animated explainer videos or 2.5D cartoon style animations and our own whiteboard style videos all have their different benefits as we have mentioned above. We love cartoons a lot, so that makes them a personal favorite, but for certain videos, whiteboards can be the best options. We think that our whiteboard videos are unique and different from the common whiteboard style videos you will find online, so we really like them as well and for some explainer videos, they are the better choice. We enjoy making them and we do work hard on making the best illustrations we can that are suitable for the whiteboard video. 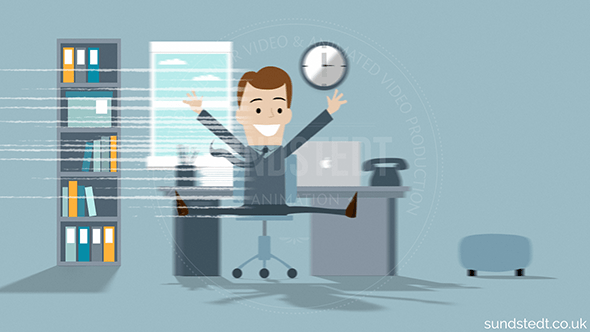 We hope that this guide has been helpful in explaining ‘What is the best animated explainer video style for your business?’ and some of the differences between Sundstedt Animation cartoon videos in 2D, 2.5D, and whiteboards and that this will help you in deciding what style of video you want us to use in your animated explainer video project! We also do motion graphics video, motion design, stop motion style, paper cutout-style and much more. So if it’s an animated web video you want, most likely we can make it! 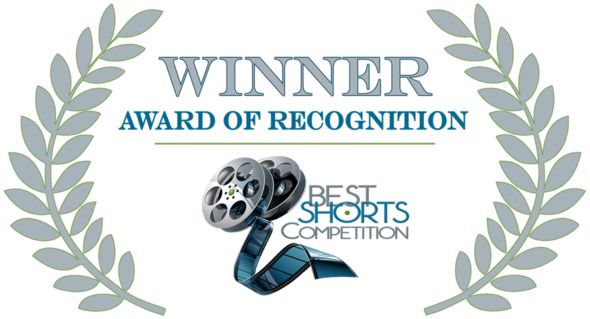 Thank you for reading this article and please do contact us if you are looking for an animated web video and we will do everything we can to help, including a free quote, support and production of your video from script to finished video file.